The Mr. Olympia 2016, held on September 16th-17th, 2016 in Las Vegas, Nevada, was one of the better Mr. Olympia contests in terms of the depth of competition in the last few years. The top ten competitors were all in fantastic shape, leaving several top physiques out of that exclusive top ten tier. Below are some of the highlights of the biggest bodybuilding contest in the world. 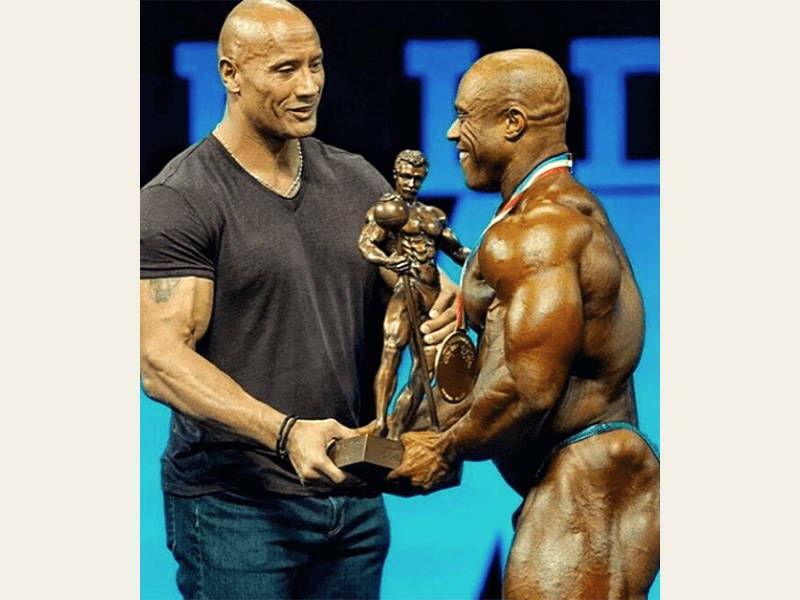 The Gift has won his sixth consecutive Mr. Olympia title this year and he did it in a very dominating fashion. Unlike the last two years, when Phil was decidedly off his best on Friday night for the prejudging, Heath looked fantastic this year, displaying a physique that was big, full, and hard. He looked to be the winner, both at the prejudging and evening finals. When he was announced first place on Saturday night, it was not a surprise to either the audience or his fellow competitors. Heath seems to have matured, both physically and emotionally, this year by displaying a confident and positive demeanor to the audience at both the press conference and in his victory speech onstage at the Orleans Arena on Saturday night. He said at the press conference that he was disappointed in his physique last year and he trained much harder this year to make improvements and he certainly did that. His physique and his attitude was that of a champion who is confident in his abilities and in his inevitable victory. 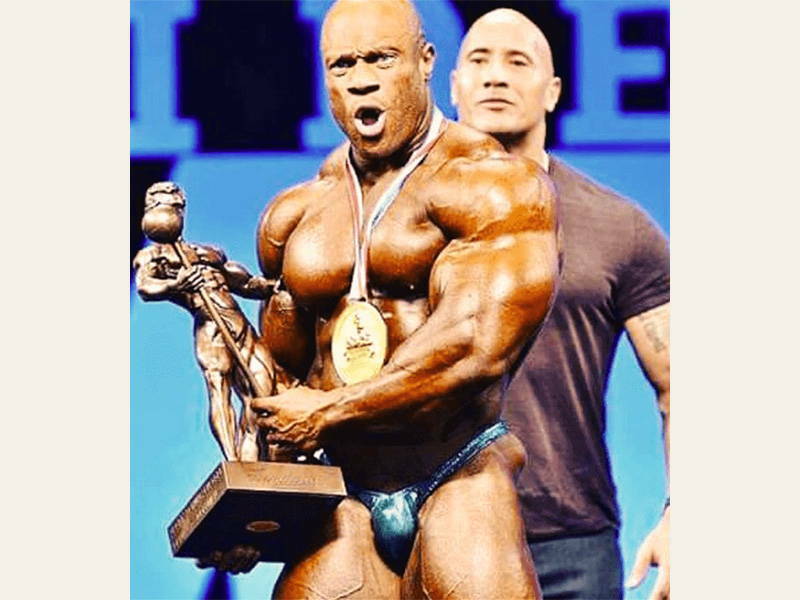 Phil Heath seems to be in control of his destiny in winning the biggest title in the sport. As long as he comes in top shape, he seems to have enough to be able to defeat the rest of the field. Although his physique is not regarded as highly as previous champions like Dorian Yates and Ronnie Coleman, Heath obviously has the package that the judges like. Can he be beat? There are several promising rookie competitors who could upset Heath’s plans for 10 Mr. Olympia wins but it will have to be seen if this actually happens. So far, Phil Heath looks to be unbeatable. The story of the year in bodybuilding was the comeback of Kevin Levrone to the Mr. Olympia stage. After 13 years away from the sport, Kevin decided to come back and compete again in the Mr. Olympia at 52 years of age. It was a remarkable story that excited the bodybuilding fans more than any other over the last few years. Kevin was one of the best professional bodybuilders during the 1990’s. After winning the overall at the 1991 NPC Nationals, Kevin took second place in his first Mr. Olympia in 1992. For the next ten years, Kevin was one of the best bodybuilders in the world during an era that featured some incredible physique athletes including Dorian Yates, Flex Wheeler, Shawn Ray, Nasser El Sonbaty and Ronnie Coleman. The idea of a peak conditioned Kevin Levrone taking on the current crop of IFBB pro bodybuilders was very exciting indeed! For months leading up to the Mr. Olympia 2016, the bodybuilding experts have been arguing back and forth about the fate of a Kevin Levrone comeback. Some people believed that Kevin would shock the world and shut up all the naysayers by virtue of his incredible genetic response to training. Others predicted that Kevin would place very low because, at 52 years old and 13 years away from the sport, he realistically had no chance to do well against the younger competitors competing today. When Kevin Levrone stepped onstage at the Mr. Olympia 2016, many were disappointed. Kevin’s legs were not up to par and were way out of proportion with his upper body. Although his upper body appeared to be very closely reminiscent of his former best, his lack of leg development threw the whole physique off. Regardless, Kevin was awarded with a great ovation from the audience and he actually looked much better (both bigger and harder) on Saturday night at the finals than he did at the prejudging. Many fans hoped that Kevin would continue to train hard and compete again next year but he said in an interview offstage that he was “one and done” and would not be back. Maybe he will change his mind but, even if this was only a one time comeback, Kevin Levrone has inspired many bodybuilders and fitness enthusiasts around the world with his courage to come back and compete in the biggest bodybuilding contest in the world with only six months of training at 52 years old. Similar to last year, the main competition for Phil Heath at the Mr. Olympia in 2016 were Dexter Jackson and Shawn Rhoden. With Dennis Wolf sitting out this year due to his recovery from back surgery and Kai Greene deciding to once again not compete in the Mr. Olympia, Dexter and Shawn stood the best chance of knocking off the champ. Both Dexter and Shawn were in top shape but they were more in competition with each other for second place as Phil was too far ahead of both of them this year. Shawn Rhoden has excellent shape and symmetry with a small waist and excellent ab development. However, he is letting his stomach relax too much between poses and the slight stomach distention did not help in his quest to unseat the champion. 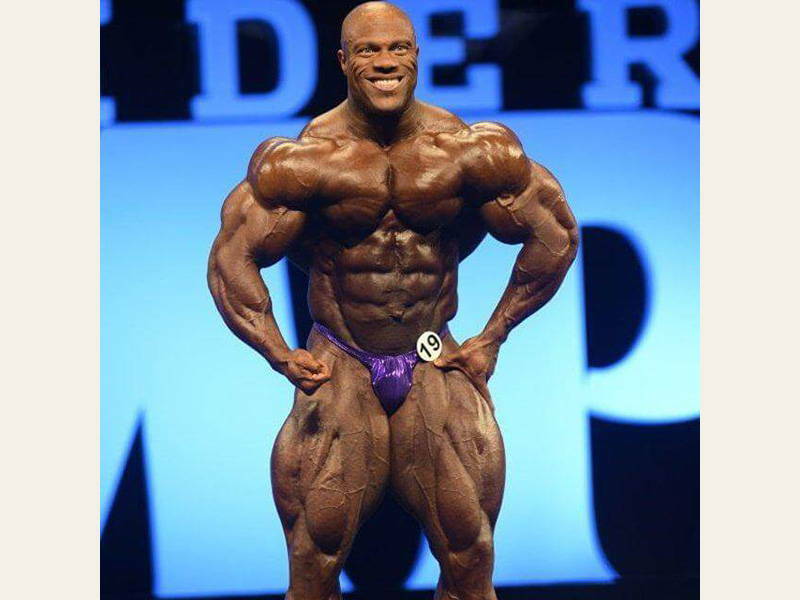 Dexter, after placing second to Phil last year, trained very hard all year in his effort to win another Mr. Olympia title (his last win was back in 2008). Dexter, at 47 years old, knows that his window of opportunity for claiming another Sandow trophy is quickly coming to an end. Unfortunately, he dropped down to a disappointing third place this year. Although he was in great shape again, he just doesn’t have the muscle mass to defeat Phil Heath and his hope of winning another title may not be reality unless Heath comes in totally unprepared. The future of professional bodybuilding was well represented at the Mr. Olympia 2016. First time Olympia competitors Justin Compton, Josh Lenartowicz and Nathan DeAsha all showed great promise. Justin has been a pro for a couple years now but waited until this year to enter his first Mr. Olympia. He has freaky size in his legs and arms along with a small waist. When he learns how to dial in his condition to match that size and shape, he could be a dangerous competitor. Josh Lenartowicz is a tall bodybuilder with wide shoulders and excellent leg development. He has a reputation for always competing in ripped condition and looks excited to be onstage so the best is surely ahead for him. Nathan DeAsha is another very promising pro bodybuilder. Although he placed out of the top ten this year, Nathan has the round muscle bellies and excellent shape that is very similar to bodybuilding legend Kevin Levrone. He should do much better next year. Dallas McCarver is a potential future Mr. Olympia winner. At only 25 years old, Dallas stands over 6 feet tall and weighs close to 300 pounds of ripped muscle onstage. He is a very wide competitor with excellent legs and great overall size. Once he improves his back and continues to mature, he could be challenging Phil Heath for the title. Another up-and-coming bodybuilder who must be mentioned is Big Ramy (Mamdouh Elssbiay). Ramy was competing in his fourth Mr. Olympia and he has moved up the ladder each year, this time placing fourth behind Phil Heath, Shawn Rhoden and Dexter Jackson. Displaying more size than anyone else onstage, Big Ramy went for a leaner look this year and did not overwhelm everyone with his amazing muscle mass at the Friday night prejudging. However, he was much fuller and more impressive on Saturday night. As he continues to mature and refine his physique, Big Ramy could upset some of the favorites next year. One of the most exciting surprises of the Mr. Olympia 2016 contest was the appearance of Dwayne “The Rock” Johnson. The Rock came onstage to make a speech during the Saturday night finals and credited his passion for weight training & bodybuilding for his career’s success. As a former college football player and professional wrestler before becoming one of the biggest stars in Hollywood, Johnson mentioned many of his Hollywood idols who helped to inspire him in his own career. One of his heroes, Arnold Schwarzenegger himself, was in attendance at the Mr. Olympia 2016, watching from the front row. Dwayne Johnson had a special announcement to make as he concluded his speech. Mentioning his business partner and ex-wife Dany Garcia, Johnson energized the crowd by announcing that CBS-TV would be broadcasting the Mr. Olympia contest next year. Bringing professional bodybuilding back to a wider audience by showing it on television is an exciting prospect as it will help bodybuilding reach a wider audience. If anyone can do it, The Rock can!